On March 4, The Chicago Reporter held its first-ever release party at the M Lounge, 1520 S. Wabash Ave., in the South Loop, to celebrate the release of its March/April issue. From 6 to 8 p.m., Reporter staff mingled with readers, followers and patrons of the M Lounge. The Reporter will hold release parties there each month when a new print magazine is released. On March 15, Editor Kimbriell Kelly delivered testimony on the foreclosure and subprime lending crises in metropolitan Chicago during a joint state and city hearing convened by the Latino Policy Forum and Spanish Coalition for Housing at the request of state Sen. Iris Y. Martinez and 31st Ward Alderman Ray Suarez. Publisher Alden Loury and Kelly are making weekly appearances on Chicago Public Radio’s Vocalo, 89.5 FM. Loury appears between 10 and 11 a.m. on Mondays, and Kelly appears between noon and 1 p.m. on Wednesdays. They discuss the latest news from the Reporter and current news headlines with Vocalo deejay Brian Babylon. Vocalo is Chicago Public Radio’s communityoriented radio station, which also broadcasts online and accepts usergenerated content at www.vocalo.org. 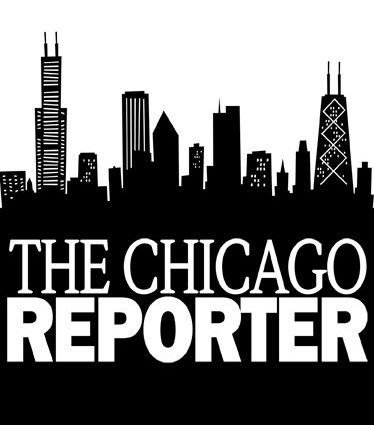 The Reporter has solidified a crosspromotional deal with the Chicago Green Festival, which will be held May 22 and 23 at Navy Pier. The Green Festival, a joint project of Global Exchange and Green America, will provide the Reporter with exhibition space, complimentary passes, a promotional display, a listing in the event directory and advertising materials. Reporter Kelly Virella has left the Reporter to become deputy editor of City Limits, an investigative urban affairs newsmagazine in New York. Virella spent more than two years with the Reporter covering criminal justice and housing. She produced groundbreaking and award-winning stories on the thousands of renters losing their homes due to foreclosure, the Illinois State Police’s practice of ignoring thousands of court orders to seal or expunge criminal records, and the inside story on how a one-of-a-kind, $3 million grant to fight HIV/AIDS in the black community was scuttled because of bureaucracy and mismanagement. The Reporter is truly grateful for Virella’s gifts as a writer and reporter, and we wish her the very best. The Reporter has hired Angela Caputo, a stellar reporter who began her journalism career as an intern with the Reporter in 2003. Caputo has produced award-winning investigative pieces and was a recipient of the prestigious Studs Terkel Award this year as a member of the staff at Progress Illinois, where she worked as a reporter and blogger. Before joining Progress Illinois, Caputo worked as a reporter for the Daily Southtown.